Hi, I’m Kelsey! 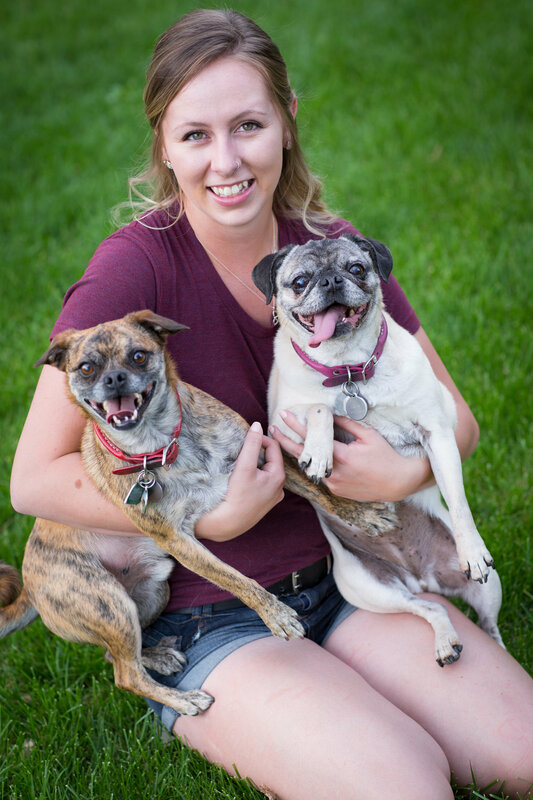 I’m studying Zoology at CSU and I have three dogs of my own- Riley, Mugsley, and Huxley. Some of you might recognize Riley, the pug, from when you’ve come into Wagz! I’ve always had a love for animals and a calling to work with animal conservation. Along with working at Wagz, I also volunteer at the Wild Animal Sanctuary! I’ve been grooming for a little over a year now. I was trained by our awesome groomer, Amber and I love it! I enjoy working with all varieties of dogs, but my favorite breed are the pugs (since I have one of my own)! I like grooming because I like to ensure that your dog is comfortable during their pampering process. I look forward to meeting you and your best fur-friend!